Home » Coast to coast » Take action NOW and tell Obama: Free these political prisoners! Take action NOW and tell Obama: Free these political prisoners! UPDATE: On Jan. 17, President Obama has commuted the sentences of two federal political prisoners, whistleblower Chelsea Manning and Puerto Rican independence fighter Oscar Lopez Rivera. Family and supporters of Indigenous leader Leonard Peltier, also a federal prisoner, are in vigil near the White House. Free all political prisoners! President Barack Obama will leave office on Jan. 20. Supporters of federal political prisoners Chelsea Manning, Leonard Peltier and Oscar López Rivera are asking that individuals and organizations call, text and email the White House asking Obama to issue clemency for them — in separate calls, texts and emails for each. After a petition drive garnered 117,000 signatures for her release, White House officials announced that Chelsea Manning was on the “short list” of federal prisoners to possibly have their sentences commuted by President Obama. Manning was a U.S. Marine intelligence analyst in Iraq. She turned over some 700,000 military files, diplomatic cables and videos to the whistleblower website WikiLeaks. One video showed helicopter crews laughing as they machine gunned civilians in Baghdad in 2007, including two Reuters reporters holding cameras. In 2013, Manning was tried, convicted and sentenced to 35 years in federal prison. Prosecutors called this heroic whistleblower a “traitor,” but could not point to anyone being harmed by her disclosures. 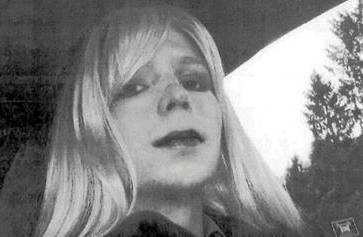 Even current and former military intelligence officers have called Manning’s sentence “excessive.” (nbcnews.com, Jan. 11) The day after her trial, she announced that she is a transgender woman. Now imprisoned at Fort Leavenworth men’s military prison in Kansas, Manning faces excruciating daily conditions. Twice she has attempted suicide. 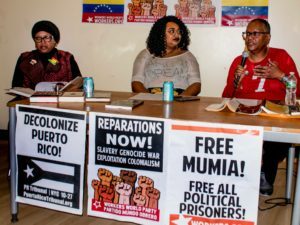 Her hunger strike in 2016 won some concessions from her jailers. She is permitted to wear some makeup and women’s undergarments. She is receiving hormone therapy, but the military refuses to classify her as female, and has not sent a surgeon to her to set up gender reassignment surgery. Over 100,000 signatures were gathered on the petition for President Obama to commute the sentence of 73-year-old Puerto Rican nationalist and freedom fighter Oscar López Rivera. 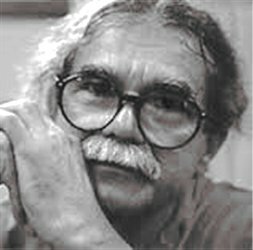 For the last 35 years, López Rivera has been in federal prison, much of it in solitary confinement. 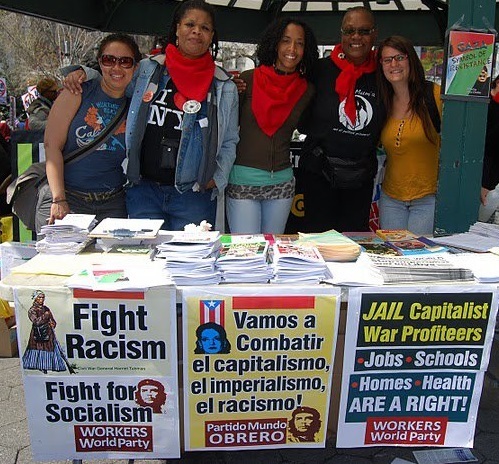 López Rivera was a member of the FALN, the Armed Forces of National Liberation, which conducted an armed struggle to free Puerto Rico from the grips of U.S. colonialism. 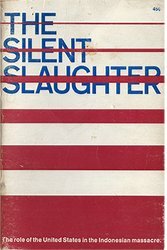 In 1981, López Rivera was convicted of several nonviolent charges, including seditious conspiracy — “conspiring to oppose U.S. authority of Puerto Rico by force.” Such charges prove the U.S. will stop at nothing to maintain its illegal colonial grip over the island nation of Puerto Rico. López Rivera was offered “conditional release” by President Bill Clinton in 1999 if he would sign a paper that described him as a “terrorist.” He refused. López Rivera has obtained wide support from many notables of different political stripes both in the U.S. and internationally. Wrongfully convicted in 1977 of the murder of two FBI agents, Leonard Peltier, a member of the Lakota Nation, has spent the last 40 years in the federal prison in Coleman, Fla. In 1973, for 71 days, some 200 Sioux, led by the American Indian Movement, occupied Wounded Knee, S.D., the site of the massacre of 300 Sioux in 1890 by the U.S. military. They were quickly surrounded by FBI agents and even units of the National Guard. In 1975, two FBI agents came onto the reservation to make an arrest and were shot. Three Native men were accused and put on trial, including Peltier. Several “witnesses” testified later that they were coerced by the government. Ballistics tests were also falsified. 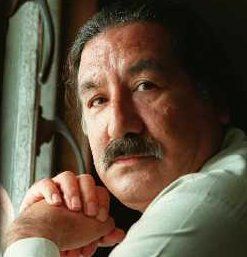 Two of his co-defendants were acquitted at a separate trial, but Peltier himself was convicted and given two life sentences. Peltier is now 71 and suffers from poor health, including diabetes and an abdominal aortic aneurism. His case has won wide international support.